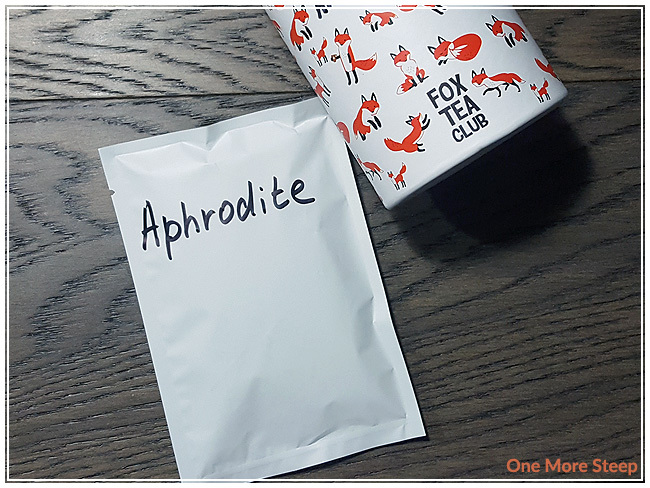 Fox Tea Club has provided me with Aphrodite for the purposes of providing an honest review. 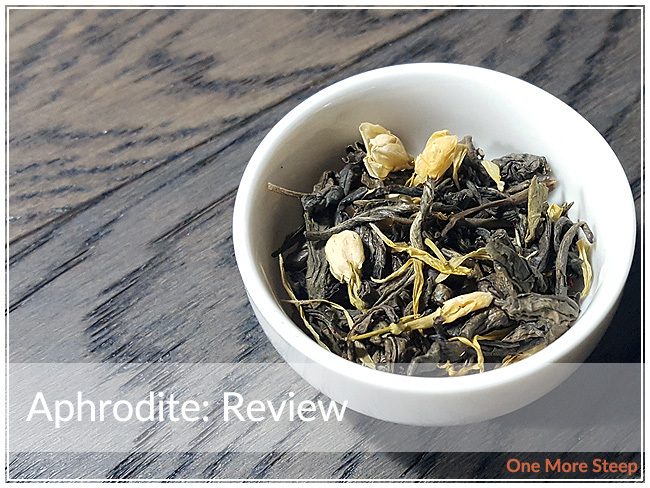 I’m a fan of green tea, and I’m a fan of white tea – but I wasn’t quite sure what to expect when I opened up this packet of Aphrodite. Fox Tea Club’s green and white tea blend smells floral and full of lemon, which is a divine combination. The lemon zest smells fresh, which is energizing. I can’t really make out the smell of the white or green tea, because the lemon zest is just so strong. Aphrodite consists of calendula, green tea, jasmine, lemon, safflower, and white tea. There were steeping instructions on the Fox Tea Club website for the Aphrodite tea. I steeped this at 80°C (175°F) for 1 minute. If you’re steeping a tea blend and you don’t have any steeping instructions, you should always opt to steep at the lowest optimal temperature and for the shortest steep time. Aphrodite steeps to a bright, beautiful yellow. It has a remarkably vibrant lemon aroma from the steeped tea, which is quite enjoyable. There’s a light floral fragrance to this tea, that’s overwhelmed by the lemon. The taste of Aphrodite has a subtle sweetness to it, that balances well between the floral and lemon. I think it tastes good, there’s no bitterness in the tea at the water temperature and length of steep time that I opted for. 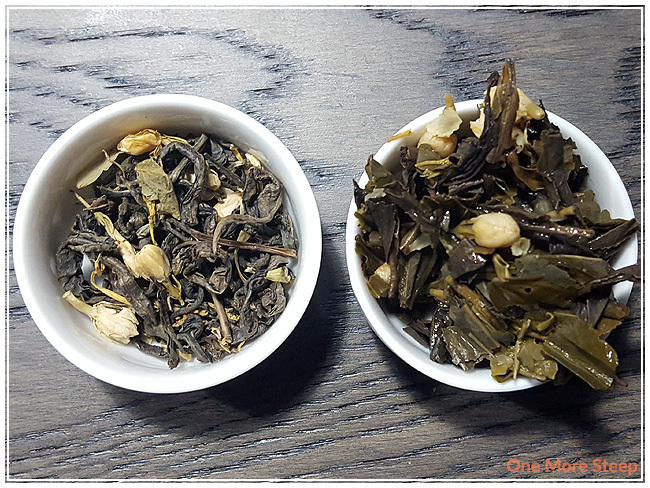 I resteep Aphrodite twice and I found that the first resteep was okay (and fairly close to the first steep), with the balanced flavours of floral with lemon. The second steep had very minimal lemon flavours in it, so I would say that Aphrodite is just good for one more steep. I liked Fox Tea Club’s Aphrodite. While this tea didn’t have me in an lovin’ mood, I really did enjoy the fresh brightness of the lemon zest with the sweet floral flavours. 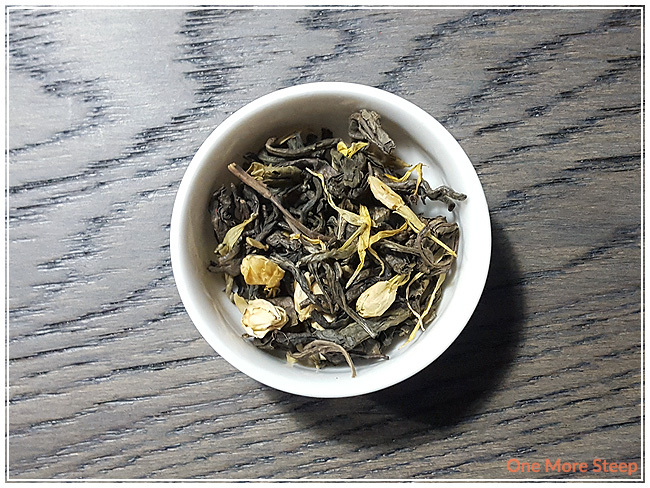 The white and green tea bases hold up the lemon and floral flavours well, and I enjoy the floral aromas and flavours. 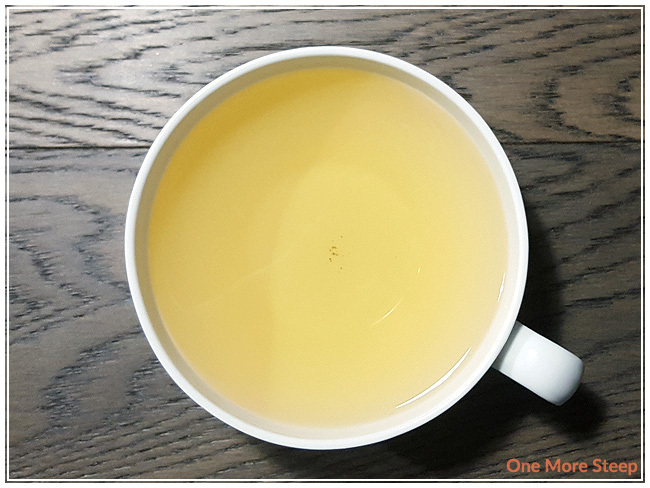 I’d definitely recommend giving this tea a try if you enjoy jasmine and lemon – just be sure not to add any milk or cream because it’ll curdle in a tea with lemon.